It seems fitting to reiterate firmly who we are at the start of a new academic year, as we welcome new members into the ranks of university professors and educators, and as each one of us is firming up a vision for the next year. We are the Oregon Conference of the American Association of University Professors (AAUP-OR). We uphold the ethical principles which define our professional identity as American academics. We stand for academic freedom, freedom of inquiry, a vital aspect of freedom in general. We stand for a universal right to higher education of the highest quality: the right of every human to the fullest development of intellectual, creative, and moral potential available to our civilization, equally, for all members of our community, without regard to social class background and financial condition. We are part of a venerable American tradition of voluntary associations laboring to deepen democracy. We seek not to be a special interest, but citizens who, uniquely situated as educators, investigate, define, and promote academic professionalism with a clear view of its public mission. The current priorities of AAUP-Oregon are set by our membership every year (professors and academic professionals from across the state) in light of, and to address the pressing challenges of the day: the decline of public funding for higher education with an attendant erosion of the right to affordable higher education; the marketization of our public good, sometimes accompanied by distorted priorities in the use of university resources; and, the malignant growth of contingent contracts for faculty (formerly a minority, now a majority), lacking any of the basic requirements for academic freedom. In two short years of life, AAUP-Oregon has established a presence and a voice of growing strength for our academic professions. Previous issues of this newsletter have highlighted our work, and we will continue to do so. Fellow Oregon colleagues, I invite you to welcome this new academic year with optimism, a spirit of generosity, and a deepened commitment to higher education fit for a free society, “student-centered, educator-led, and debt-free.” As we budget our time commitments for this year, I urge and invite all to budget time for the public service needed to elevate the academic professions and our public mission. As I am certain our readers know, AAUP-Oregon is concerned about the working conditions of American contingent faculty, all contingent faculty, whether in public, private, or private religiously affiliated institutions. The number of contingent faculty in religiously affiliated and private colleges and universities is growing rapidly, as it is in all institutions of higher education in the United States and internationally. Until recently, two Supreme Court decisions, NLRB vs. Catholic Bishop of Chicago (1979) and NLRB vs. Yeshiva University (1980) have excluded faculty at these institutions from the legal protection of the National Labor Relations Act (1935) and therefore, from organizing unions and collectively bargaining with their employers for fair wages and benefits, and better working conditions. Contingent faculty at religiously affiliated institutions were restricted by both of these Supreme Court decisions. Recently, faculty at these institutions have begun to see light at what may be the end of their journey to collective bargaining. Cracking open the Yeshiva decision (see Pacific Lutheran University (2014) and Point Park (2015) decisions) has been difficult enough, but faculty at religiously affiliated institutions were faced with not only being defined as managers, but also the possibility that their unionization would violate the institution’s right to operate under the Religion Clauses of the First Amendment and would confuse our supposedly inviolable division between Church and State. With the Pacific Lutheran decision, this has begun to change; the NLRB held that in order to qualify for a religious exemption to the NLRA, the university must both “hold itself out” as “providing a religious environment” and also hold out faculty members seeking to unionize as “performing a specific role in creating or maintaining the school’s religious educational environment.” Individual faculty must be held out as performing a specific religious function. A general statement about the religious mission of all faculty will no longer suffice to keep lay faculty from organizing. This decision will certainly expand the number of faculty working at religiously affiliated colleges and universities who have the legally protected right to form labor unions. However, few adjuncts hired by religious institutions, the largest of which is, of course, the Catholic Church, have the resources to do this. Similar to adjuncts everywhere they are facing inadequate wages, no benefits, unstable hiring conditions, all of which allow them absolutely no academic freedom in their work. Fortunately, the Pope is visiting the United States! And I don’t know about you, but I find Pope Francis remarkable in his compassion, courage, and willingness to institute social change. This seems the perfect time to being to his attention the deplorable adjunct working conditions within his own institution. AAUP-Oregon is joined with United Academics of Philadelphia in making this plea to Pope Francis that he recognize the Catholic teaching which finds dignity in all labor, and acknowledges the rights of all workers to decide to organize for collective bargaining. Please read and sign the petition here. 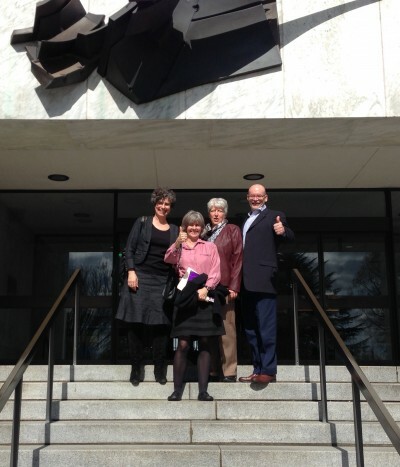 AAUP-Oregon is building a network of faculty members who are willing and able to engage in legislative work on behalf of Oregon faculty. If you are an AAUP-Oregon member and would like to be part of the network, get in touch with us at Margaret@aaup-oregon.org. We are also looking for at large members of our legislative committee. 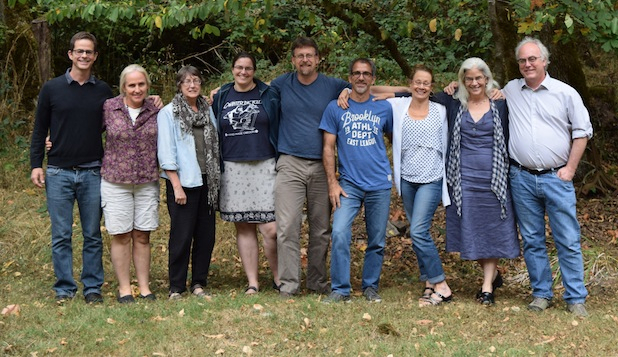 The AAUP-Oregon Legislative Committee is made up of two members from each Collective Bargaining Chapter and two at large members who may be individual members of AAUP-Oregon or members of advocacy chapters. The at-large members should come from anywhere but the two AAUP-Oregon affiliated collective bargaining chapters at PSU and UO, so advocacy chapter members or individual members are needed. If you are interested in serving as an at large member, please let us know, by emailing Margaret@aaup-oregon.org. The Legislative Committee will be meeting several times a year to oversee AAUP-Oregon’s legislative program and recommend endorsement positions to the statewide Executive Committee. The big news from UAUO is that our second contract was tentatively agreed upon in August! 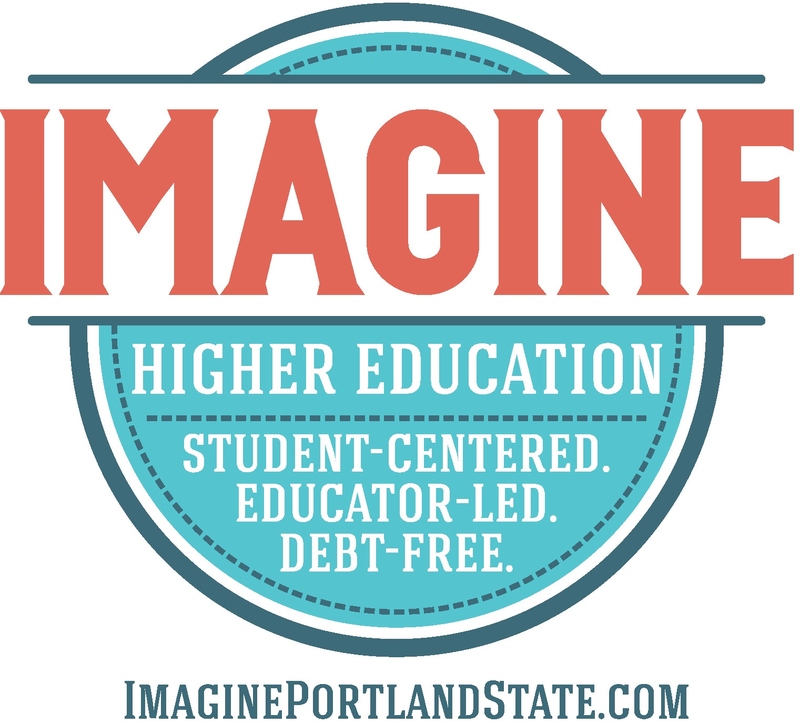 After 7 months of negotiation our bargaining team, led by our Executive Director, Dave Cecil pushed back on a number of negative proposals and pressed forward on the fiscal priorities of the UO administration. Over a hundred faculty attended some part of the marathon sessions that wrapped up bargaining and representatives from SEIU and the Graduate Teaching Fellow Federation also attended to show support. One of the disappointments was the administration’s refusal to address any equity issues, internal or external. We will keep pressing on this and at least got them to agree upon a joint committee to study these issues and propose solutions. Additionally we will be working together to study the issues of a sick leave bank and child-care subsidies. Much work remains to be done! Hope this message finds you all well and I am sure everyone is working on preparations for the new academic year. Where did this summer go? I do hope everyone took some time to rest and be with loved ones. Congratulations and a big shout out to U of O and to their team for their new contract. This must be a relief and I am envious that you can start this new year with a focus on other matters besides bargaining. We are also happy for SEIU and, as we continue to bargain, we will be looking to these contracts for guidance and direction. Bargaining for PSU-AAUP is now scheduled throughout October and November. Kelly Cowan, President of PSUFA (they are also using interest based bargaining for their negotiations), and I presented to the PSU Board of Trustees on Thursday about the process and it appears we will be on Board’s agenda for the time being. As part of bargaining ground rules, we wanted time on the Board’s agenda and we will see where this ends up in the future. As the Board of Trustees Relations Task Force gets underway, there will be numerous Board challenges that will be explored. Stay tuned. If there is interest in an update on our bargaining, please check out our bargaining blog. We are currently focused on continuous employment for our Non-Tenure Track Faculty. It is slow going. Our Executive Council met on September 21 for an all day retreat and the agenda was really packed and really important. One of the many important items we discussed was preparation for the Friedrichs v. California Teachers Association case before the Supreme Court. We also worked on our fall Imagine organizing plan that includes an Imagine Bike ride (weather permitting) on October 14 and a membership meeting on October 21. Please join us on October 8 at 4:00 in The Urban Center Gallery on the second floor to hear Alisa Messer speak to, “The Fight to Save City College of San Francisco”. This is the third and final event of our 2015, “A Brighter Future? Struggles for Social Justice in Higher Education” Speaker Series. We would love to see you if close enough to visit! Take care everyone. Look forward to seeing you in October! Hope the year gets off to a great start! The Alliance for a Socially Just University met several times over the summer. The first project (in addition to supporting one another in our various struggles with the university administration) will be to develop and advocate for a participatory budgeting process. We see this as essential to shared governance. Participatory budgeting would require that decision making and the establishment of priorities happen from the bottom up rather than the top down. It would result in greater transparency about those priorities, the sources of all funding, and would require democratic decisions about how best to utilize those funds. Toward that goal, we have invited Howard Bunsis to visit our campus again and help train us in the intricacies of university budgets. Share the post "AAUP-Oregon News September 2015"